NZCS are proud to announce the official launch of this very special book outlining much of the history of ICT and Computing in New Zealand. Edited by Janet Toland, Return to Tomorrow includes 23 fascinating chapters, each outlining a different aspect of the history of computing over the last 50 years through the eyes of those that lived it. Authors include innovators such as Perce Harpham, founder of Progeni (New Zealand's first software company) as he outlines the rise and fall of this ground-breaking company, Ray Delany outlining the history of health informatics in New Zealand, Johnny Chan outlining the business of open source, and many more. 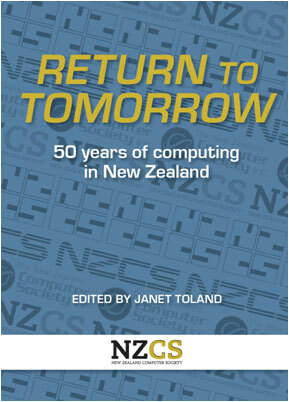 This limited edition is also two in one: it includes the full text of Looking Back to Tomorrow, the NZCS 25th Anniversary book, combining with new content to provide a full 50 year history of computing. This book is now available for purchase direct from the NZCS website here. The book is available to anyone for $49.95. NZCS members may purchase at the special launch price of $39.95 for a limited time (add $6 p&p if delivery required). With over 400 pages this really is a fascinating book and is only available direct from NZCS - you cannot get this in stores. This is a piece of history and only a limited number are available in this first edition. Please click here for more information and to grab your copy now. Newsline is collaboratively written and we're always looking for new material to publish. Whether it's your views in a guest editorial or "in depth" expert detail, please send your 700-800 word piece to the editor above. 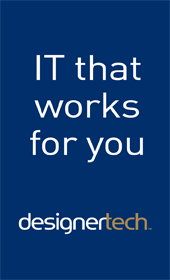 © 2019 Institute of IT Professionals NZ Inc. All Rights Reserved.